For some homeowners there’s no need to spend a ton of money to give a kitchen a new look. In fact, there is a more affordable way to make cabinets look and feel new without the need to spend a lot of money replacing them. Many homeowners are refacing their kitchen cabinets instead of completely replacing them during a kitchen remodel. Though refacing cabinets does not involve the removing of old cabinets and installation of new ones, it is still a lot of work. This process involves the covering of the exposed frames with a thin veneer or real wood. Then the doors and drawer fronts are replaced to match the new veneer. Many homeowners choose to also replace all the old hinges, knobs and pulls. Some also add and/or replace the crown molding. There are not many disadvantages to refacing cabinets. One of the biggest disadvantage is that the refacing will not change the design of the kitchen. Those who do not like the layout of their current kitchen will not want to choose refacing as an option. It might be best to do a complete remodel of the kitchen, including new cabinets. Before deciding to reface cabinets, it is best to determine if the existing cabinets are worth refacing. 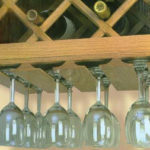 To do this, it is important to determine if the existing cabinets are structurally sound and still in a good condition. They should be free of cracks, any warping and water damage. There are cabinet refacing do-it-yourself kits available. These kits make it possible to turn rafacing into a DIY project. However, the time, money and patience needed to reface cabinets, it might be best to hire someone to do the work. For more information about having your cabinets refaced in the Greater Philadelphia region, contact Let’s Face It today!